Our customer in Snohomish Washington came to us to build a one car post frame metal garage that needed to be compliant with local city regulations. 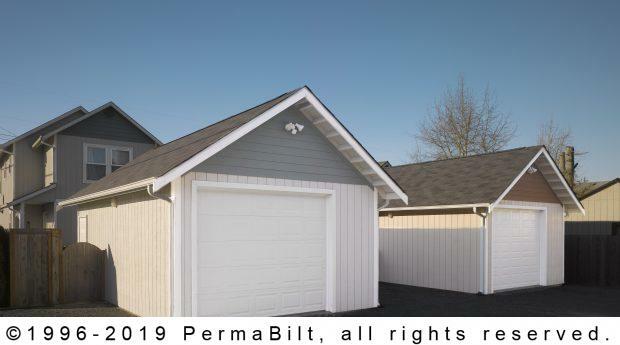 Working in tandem with the city and customer, PermaBilt® increased the roof pitch to 8/12, built the siding and gable treatment and laid out the concrete floor. 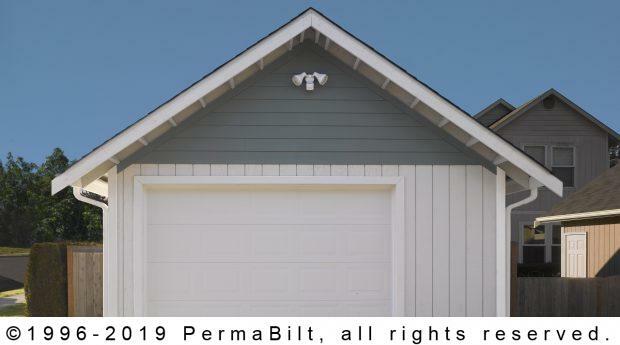 Other elements such as the garage door, walk‐in door, gutters, flow ridge vent, eave and gable overhangs were built per customer specs. Painting and flood lights were later added by the customer. As with this particular customer and all our customers, there’s a post frame metal garage to fit anyone’s need. The possibilities and configurations are endless. Working across design, financing, permits, construction and completion, PermaBilt®’s purpose is to build in quality every step of the way. As with this garage, once built, the simplicity and efficiency fulfilled our customer’s exact needs. That is what we strive for with every customer.